Blue Crush Rod Reel Combo | 8+ wt Rod Reel Combo - FlyBass.com | Bronzeback Enterprises, L.L.C. Do you want to be ready for just about any big fish you come up against - in fresh or saltwater? This combination is for you! 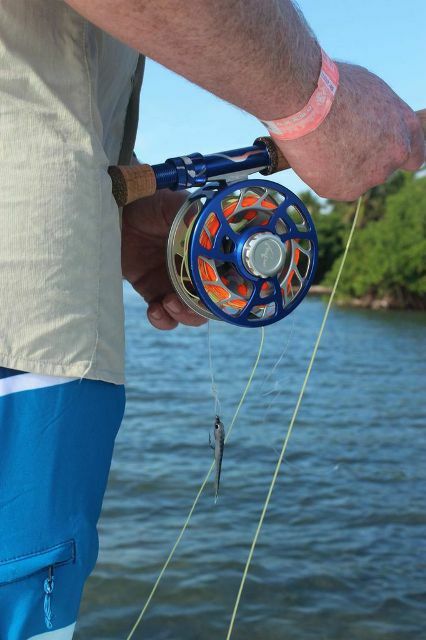 The Blue Crush Reel features a sealed carbon fiber silky smooth drag. Combine this great reel with the brand new Reef 8+ Fly Rod for the perfect big fish combination! For the price of some of the high-end rods alone, you can have the best of both worlds! Note: The package includes only the rod and reel, both come individually in protective rod case and reel pouch.